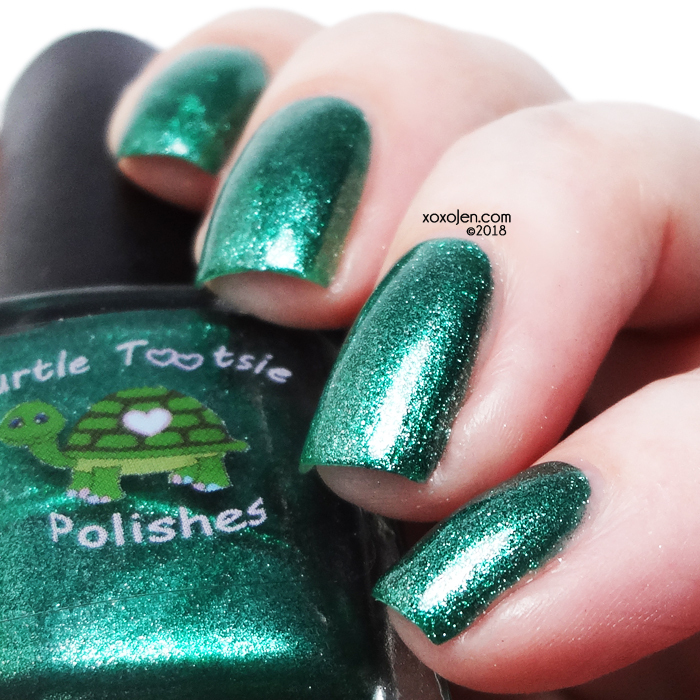 Turtle Tootsie's special Black Friday releases are here and I'm excited to share them with you! These will be released on Thanksgiving night 11/22 at 7pm Central along with the Black Friday sale. The Black Friday sale is 30% off the entire store including the new releases. Use code JenBF30. 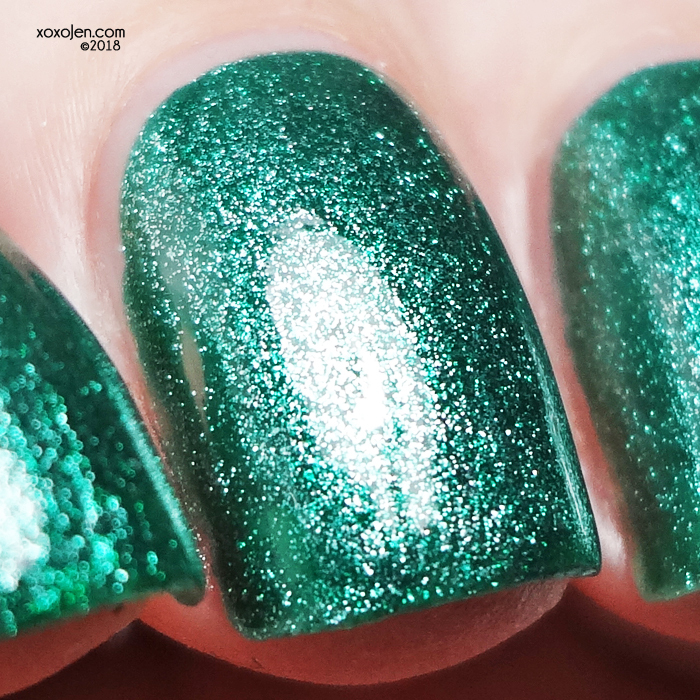 There is also a special polish I've reviewed here which will be FREE with at least the first 50 orders over $25(after the discount). The collection is available in both full and mini sizes. Let's get into it! The descriptions for all of them are fairly simple. 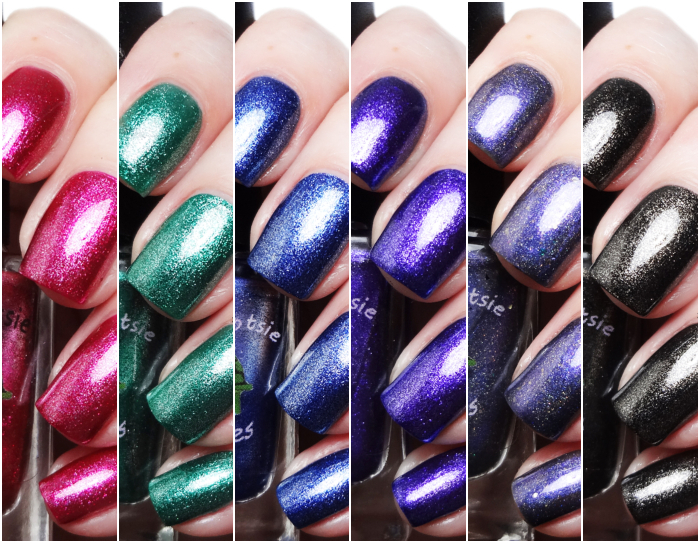 Each is a foil polish in shades of red, green, blue, black and purple. 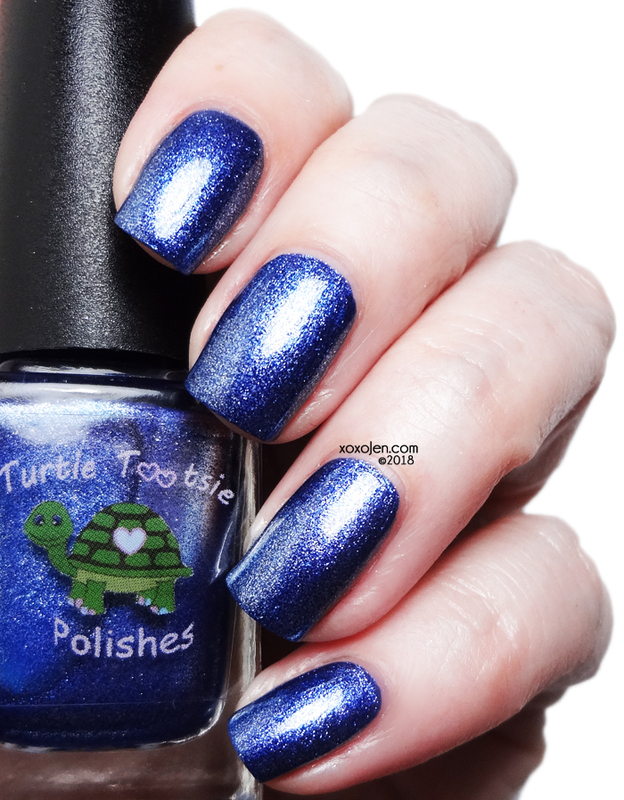 They stamp beautifully over a light base shade and are quite opaque worn as a full mani. 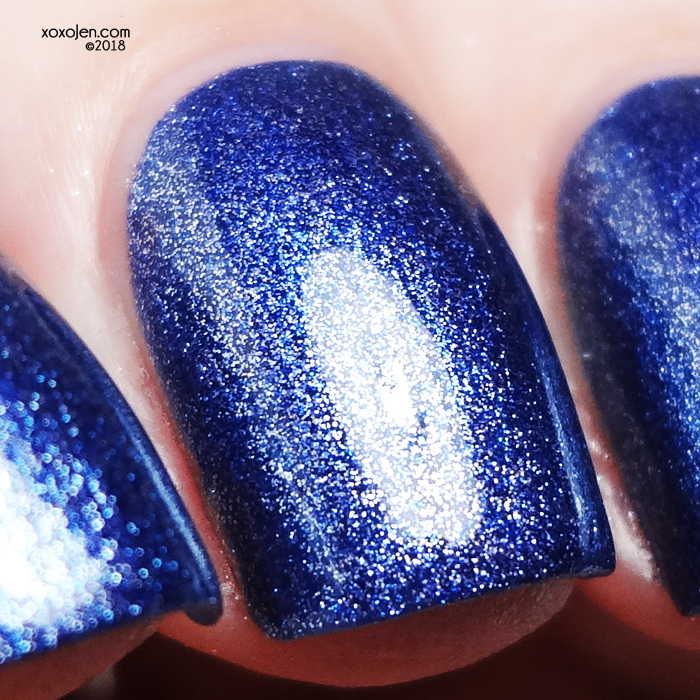 I wore two coats of each with topcoat, but for a super quick mani one coat would suffice. The formula on these was fantastic! 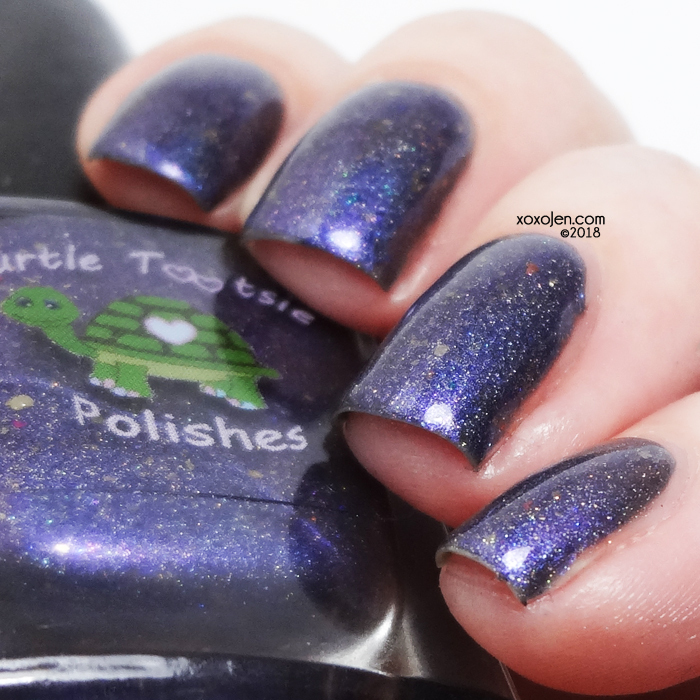 a dark gray almost black linear holo base with gold flakies and red, gold and purple shimmers. 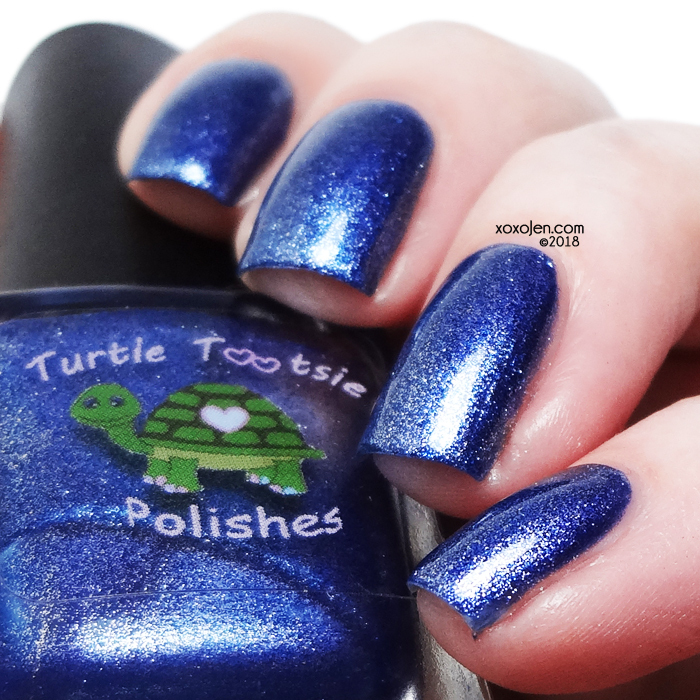 Get your set and freebie at Turtle Tootsie's on 11/22 at 7pm Central! 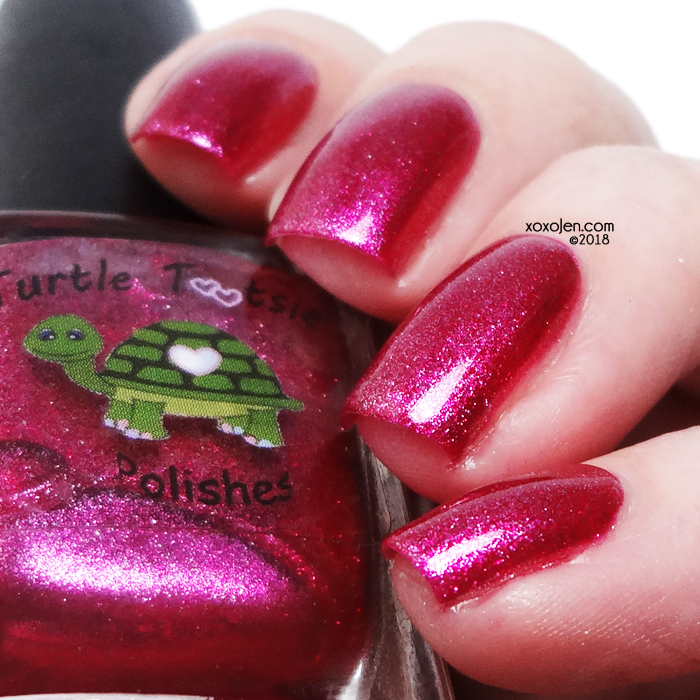 Use code JenBF30 for 30% off! 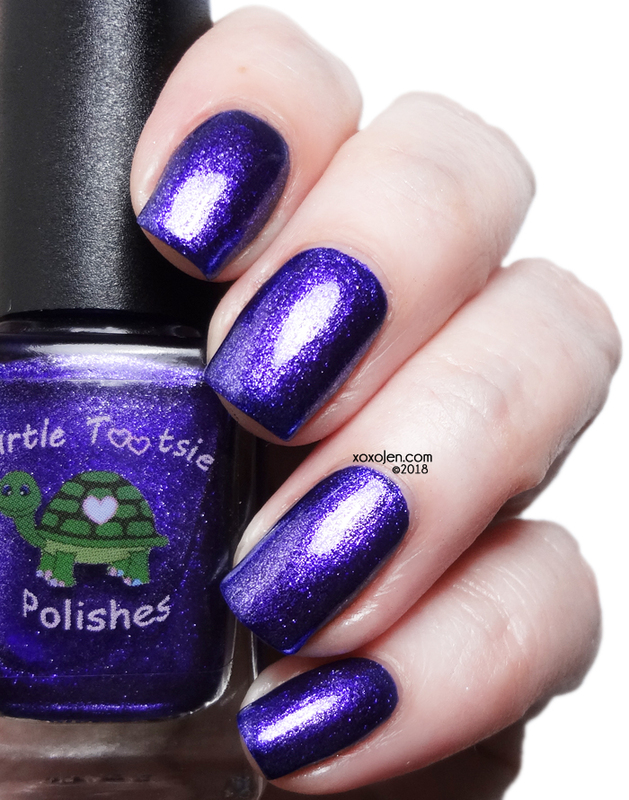 30 % off the ENTIRE store including mystery bags while they last as well as the new foils.